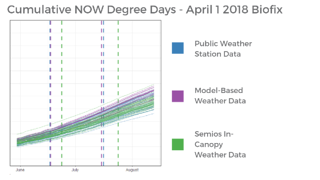 Fellow Fool Maxx Chatsko recently wrote that Monsanto (NYSE: MON ) is using IoT tech to analyze soil, climate, and weather data and then make predictions on that information for specific yield estimates and planting plans. The company uses a program called FieldScript to analyze each farmer's unique field characteristics, and then provides a specific prescription-planting plan. Farmers download the plan to an iPad app called FieldView to see real-time maps of their planting. 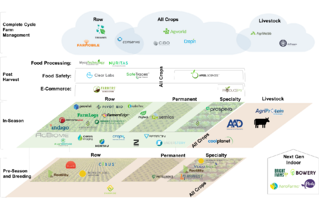 It's not just crop-growing that benefits from IoT tech. A company called SemiosBIO uses sensors in trees to create a better system of orchard pest control. 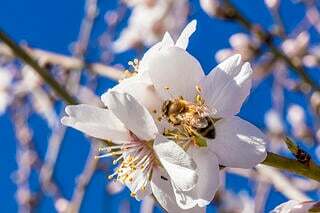 The company makes boxes with sensors, cameras, and insect pheromones that are hung in orchards and connected by a cellular network. 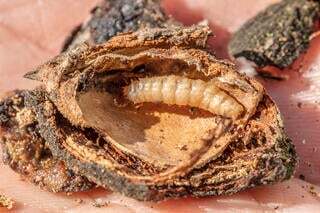 Farmers can monitor insects online using the camera and sensors, and set scheduled releases of the pheromones to confuse the mating habits of the insects and drastically reduce the amount of pests. SemiosBIO's technology can significantly decrease the amount of pesticides used, or even eliminate the need for them in some cases. The company also has technology to remotely monitor frost, leaf wetness, and soil moisture, and can send real-time notifications of changes to farmers. Agriculture equipment is also being influenced by the Internet of Things. A company called TempuTech uses its own sensors and General Electric's (NYSE: GE ) IoT software to monitor grain silos, conveyor belts, and grain elevators. 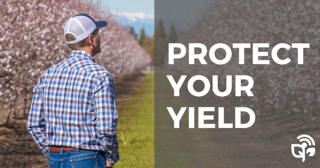 The system allows farmers to find issues with equipment before they become major problems, and to receive real-time notifications when something does go wrong. For example, the sensors and software can tell when a part of a grain conveyor belt is heating up, and make changes before a potential fire starts. John Deere has its hand in the Internet of Things as well. The company's Field Connect system monitors air and soil temperature, wind speed, humidity, solar radiation, rainfall, and even leaf wetness, and then sends wireless notifications farmers can view on their computers or mobile devices. Making agriculture processes more efficient isn't just about helping farmers and making companies more money. These technologies can have serious benefits for feeding the world and conserving water as well. "Agricultural technologies could increase global crop yields as much as 67% and cut food prices nearly in half by 2050," according to the International Food Policy Research Institute. That's important, because food prices are expected to increase in coming decades due to climate change and increased global population. These efficient agricultural technologies could help reduce food scarcity by as much as 36%, according to IFPRI. Something as straightforward as using connected technology to help farmers irrigate effectively could reduce water used for agriculture, saving farmers money and helping protect one or the world's most valuable resources.